Nutrition impacts a horse’s entire body, from its mane all the way down to its hooves. When a horse owner gives feed to their horse, they are providing the horse with amino acids that are essential to keeping hooves strong and healthy. The feet collect minerals and nutrients from the blood supply. If the quality or quantity of the feed is not at the recommended level, this can lower the blood supply to the feet and inhibit a horse's ability to grow and develop its soles and hoof walls properly. To sustain optimal hoof health, it’s important to provide the proper diet for a horse and take action if hooves are affected by a poor diet. Weight loss – If a horse loses a significant amount of weight, owners should consider looking at the type and amount of feed they use. The shortfall of nutrients in the feed could be taking a toll on the horse’s hooves and overall health. Shelly hooves – When a horse lacks a proper diet, it can become protein-deficient. Horse hooves, as well as horse hair, are made up of proteins. If horses do not consume proteins via food, the protein in their hooves cannot be restored and can start to break down. The easiest way to tell if a horse is lacking nutrients is first in its coat. A horse’s coat will lack volume and shininess. Then, similar to split ends on human hair, farriers will find that the hooves will start to fray and become shelly. This is a tell-tale sign that a horse lacks amino acids. To avoid time-consuming procedures to get a horse’s nutrition back in order, horse owners and hoof care professionals should be cautious of these signs. Depending on the region in which a horse lives, it’s also important to consider how much grass their horses eat. With spring in full effect, horse owners living in areas where lush grass is abundant may need to be extra careful in order to keep horses healthy. The sugar content of grass in the spring can spike blood sugar when consumed and can induce other conditions such as founder. To help avoid spiking blood sugar, horse owners should be aware of the grass’ sugar content and incorporate this consideration into their daily routine. Turning horses out to the pasture too frequently can set the stage for problems, so it is best to rotate horses often and limit the amount of time on the pasture throughout spring. Keeping a close eye on a horse’s diet and sugar intake ensures proper hoof health and helps to avoid discomfort or lameness down the road. In any environment, owners can help improve their horse’s diet with amino acid supplements. Biotin, for example, is a beneficial vitamin that can boost a horse’s health. For optimal results, horse owners should pair Biotin with an amino acid like DL-Methionine. These two supplements work together to build new blood vessels and give a horse the nutrients it needs to support hoof and overall health. While Biotin is very beneficial to a horse’s nutrition, it is also important to know that it is something a horse’s body produces on its own. Feeding Biotin as a supplement can be advantageous, but it is crucial not to overfeed to avoid excess Vitamin B. If a horse’s feet become shelly due to an improper diet, horse owners and farriers can use pour-in pad materials to make horses more comfortable and allow hooves to improve. For shod horses, Vettec Equi-Pak works well because it absorbs shock and concussion to alleviate pressure from the hoof wall. For barefoot horses with shelly hooves, Sole-Guard serves as a firmer pad material that distributes a horse’s weight evenly across the entire hoof-bottom. It also allows for faster sole growth. 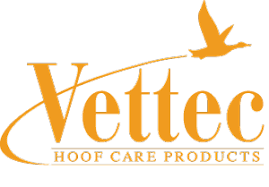 In situations where a horse needs to relieve pressure on the hoof wall, this material provides comfort and support. Talk with a farrier or veterinarian about how to maintain a horse’s diet, and how pour-in pad materials can be a helpful tool for feet that are weak or shelly.